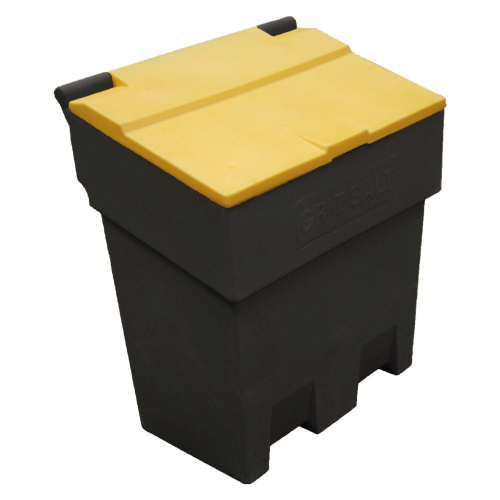 The 200 Litre Recycled Grit Bin is suitable for storing grit / salt on residential and commercial premises. 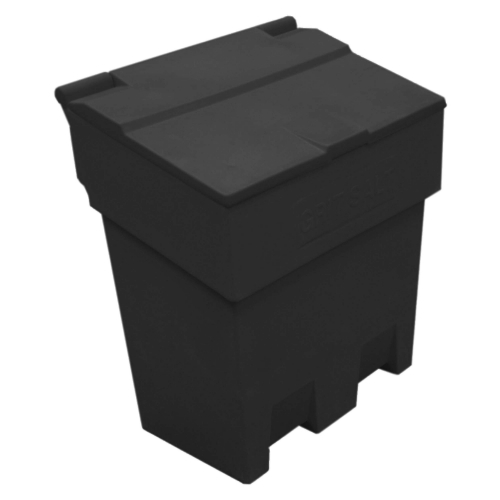 Constructed from recycled and UV-resistant polyethylene, this grit bin is an environmentally-friendly grit storage solution. Designed with an angled lid as to reduce the amount of water and ice freezing on top, this bin is easy to use during cold weather. The design also features channels in the base that allow the bin to be manoeuvred via a pallet truck or forklift. This makes the bin easy to position even when fully-stocked. This bin is stackable allowing it to be easily stored during the summer months when not in use. It is available in three colour options: black, yellow base and black lid, black base with yellow lid. An optional hasp and staple is available to offer extra security to your grit / salt. Please note: a padlock is not included. 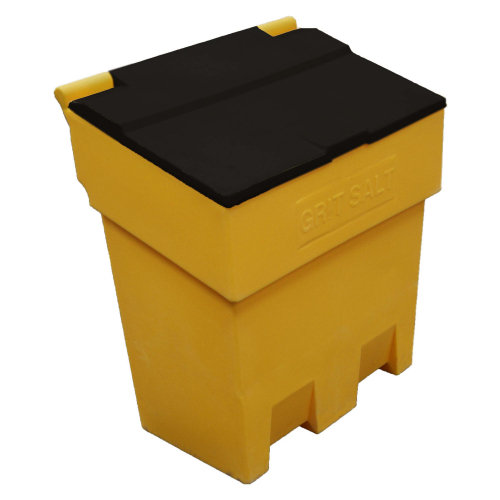 Keep the areas around your home or business ice-free this winter by storing your grit / salt in our 200 Litre Grit Bin.